The Crafter's Apprentice: My new best friend! I was given a free copy of the pattern to make Humphrey by Retro Mama in exchange for a copy of Crafts Beautiful in which she was featured. Humphrey! Don't show the nice people your bum! When we got our last rabbit, I wanted to call him Humphrey but Mr CA said no, so he was named Harry instead. This time, Mr CA doesn't have a say in the matter! 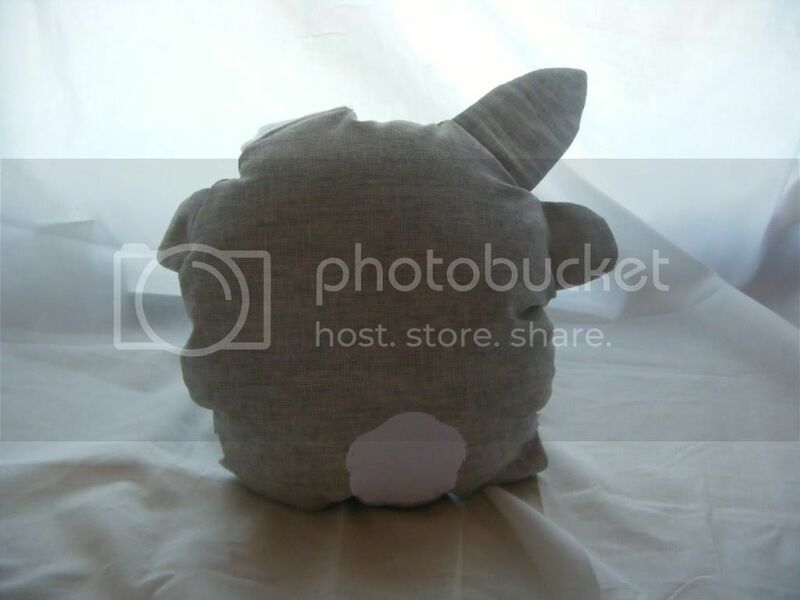 Humph is made from grey linen with a piece of a layer cake layer on his belly and in his ears. His tale is flannel so is nice and tactile. This morning I came up stairs with the intention of making my 5th block for the Skill Builder Sampler. 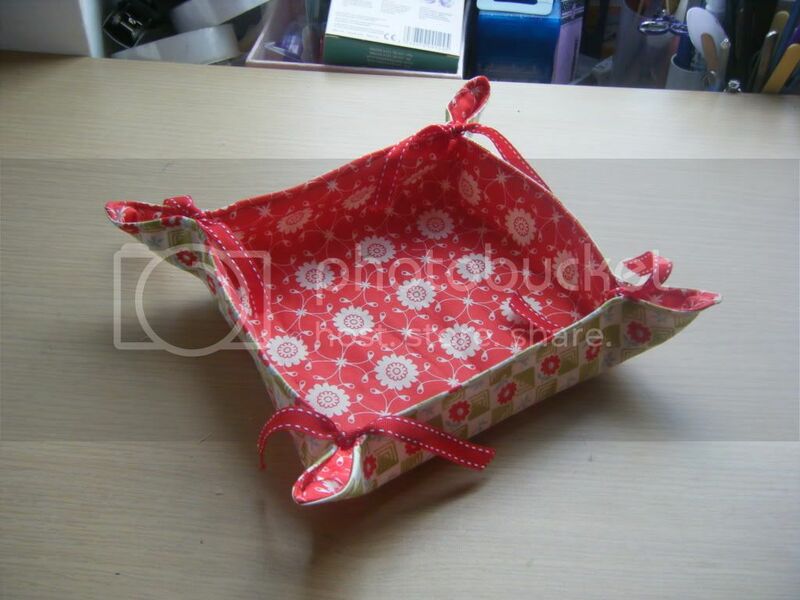 My computer took forever to boot up and so in the meantime I turned over my 2011 Sewing calendar and found this lovely little tray. Well not this actual one, this is the one I made. I'm far too lazy to climb down 2 flights of stairs and scan the original. 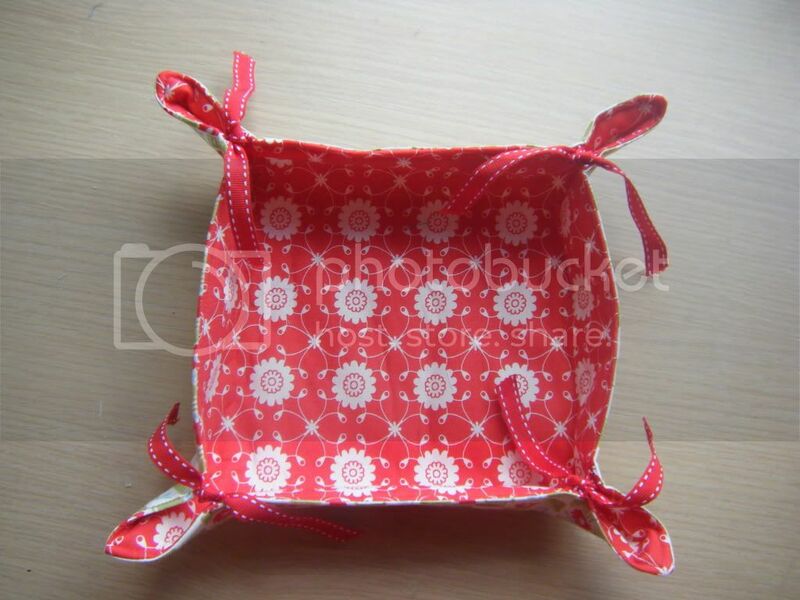 You can find it at Boutique Nutmeg Designs if you want to make it. The 2011 Sewing Calendar is actually a bit of a con as all the designs are available free on various blogs! Ah well. I've just realised it's not on my Craft Book page. Does it count as a Craft Book Challenge? I believe it does! The pattern called for two 12" squares of fabric, but I used 2 layer cakes from my Bliss pack so the flat size is 10" square. I also cocked up first time. It says to sew the ribbons down to their intersections, so I did. It was a bit messy as I used a zig zag stitch and the tension was all over the place, I couldn't seem to fix it. I didn't think it would matter as I thought they'd be inside (despite me sewing them to the right side of the fabric - duh), but when I'd sewed it up, it was obvious they would be seen! I also couldn't tie them to bring the corners up due to the way I'd sewed them, so I unpicked them and I'm just relying on where the two pieces were sewn together and the topstitching to hold them. And what am I using it for? To hold my Bliss scraps! I love your Humphrey - he'e very cute and your cute little Bliss tray - a very useful item to have about the house. I adore Humphrey! How cute he is and he has a GREAT name! I love your little box too, it sure looks great to me! Well Humphrey is adorable and so is your tray! I have that calendar too and it took me awhile looking at it to notice that most of these items are as you said available online anyway! Looks like we both got hoodwinked! Humphrey is so cute! 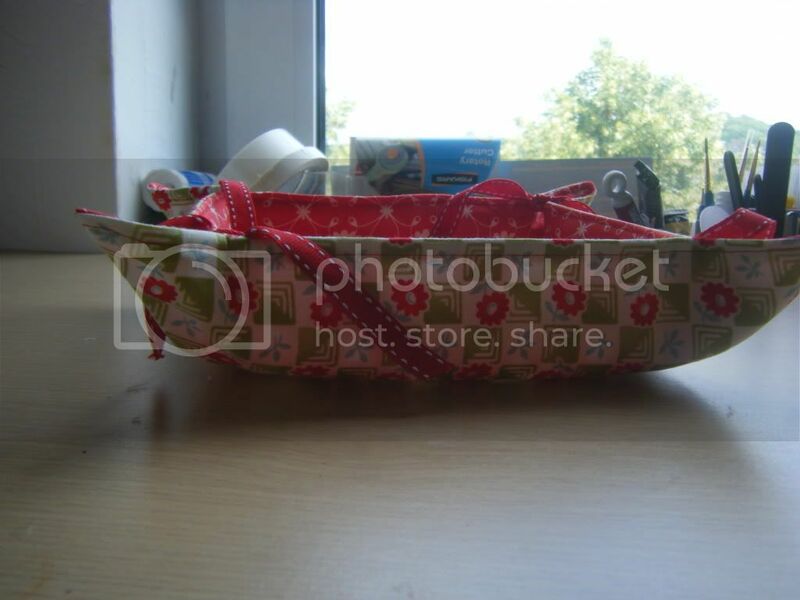 Love your little basket too, I keep meaning to make one and thanks for the tip that there are links out there to free ones. I got a kick out of your description of making it.....you sound like me....I always jump ahead and then read the directions! Have a great day. Humphrey is adorable - I want to squeeze him and pinch his little bottom, lol! The tray is cute! I am visiting via Someday Crafts. 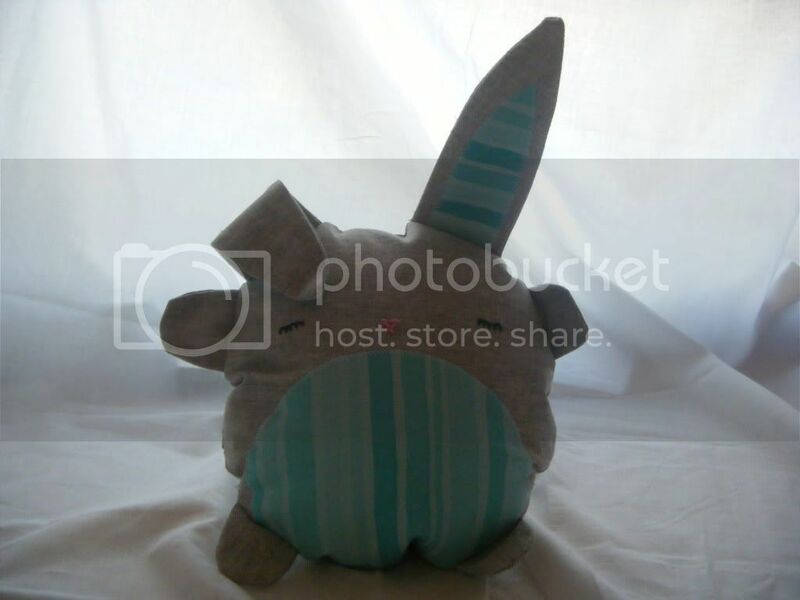 This is an absolutely adorable project! If you have written a post about a great restaurant, store or perhaps taken a fun trip I am now hosting a new linky party entitled Wayfaring Wednesdays. Come on by! Humphrey is gorgeous! and that tray is great! 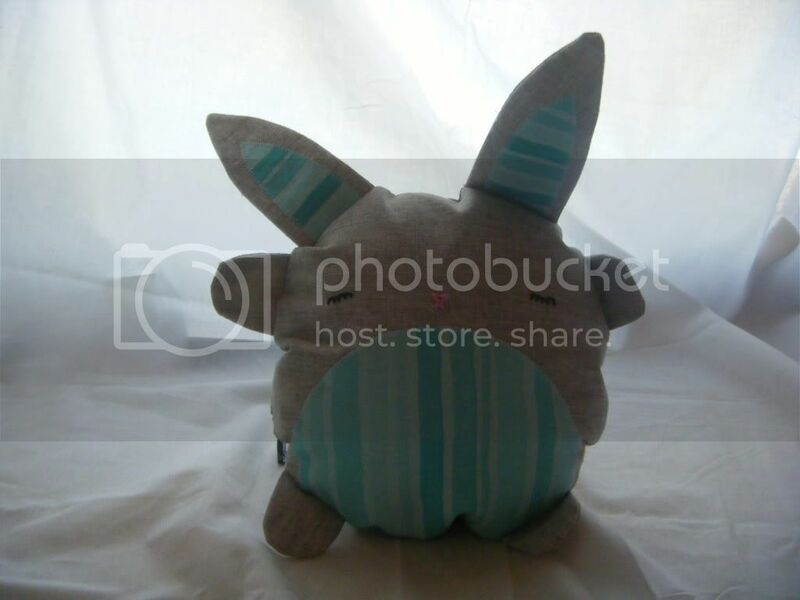 I've got one and have been wanting to try and make another myself for a while! Thanks for the link! Thanks for linking to the Creating Success Worldwide blog hop!! Hope you'll come back again next week! I appear to be pinning lots of your pics as I delve through your blog!